Last night on the Season 8 premiere of Game of Thrones, we were treated to plenty of reunions, but more than that, we were treated to some circular storytelling. Everything about “Winterfell” was meant to recall the first episode of the series, “Winter Is Coming” and how far the characters have come over the course of seven seasons. You got to see how Sansa Stark grew from a naïve princess to a fierce, commanding lady. You got to see how Arya Stark transformed from a precocious child to a cold-blooded warrior. But this timeline didn’t benefit everyone. When Sansa and Tyrion have their reunion, she questions why he believes his sister, Cersei, would really send troops to fight the Army of the Dead. And then she says what could be the epitaph for Tyrion’s character right now, “I used to think you were the cleverest man alive.” That used to be true for Tyrion Lannister; now it’s not. Last season, I wrote about how the show really didn’t have a purpose for Petyr “Littlefinger” Baelish anymore. He was a relic of the time when the show was about politics and manipulation. In the early seasons, Game of Thrones had to be that show. It didn’t have the budget to be the dragon and zombie parade. And yet those political conflicts drew in viewers, and few players were as skilled at the “game” as Tyrion. Tyrion, the black sheep of the Lannisters, was one of the immediately captivating figures in the show, given life by Peter Dinklage’s Emmy-winning performance. While other figures were still drawn from stock fantasy archetypes, Tyrion knew what was going on, and he was right where he needed to be—King’s Landing. In the heart of all those politics and backstabbing, the show had plenty of meat for Tyrion and he featured in some of the show’s best episodes like “Blackwater” and “The Laws of Gods and Men”. But ever since Tyrion crossed the Narrow Sea and partnered up with Daenerys, the show really has no clue what to do with him. It seemed like he would be an invaluable counselor to Daenerys, bringing his political wisdom to her raw strength, and for a time, that was true. They figured out a way to rule over Essos in relative peace, and he could say lines like, “I drink and I know things,” and we would put his aphorism on t-shirts. 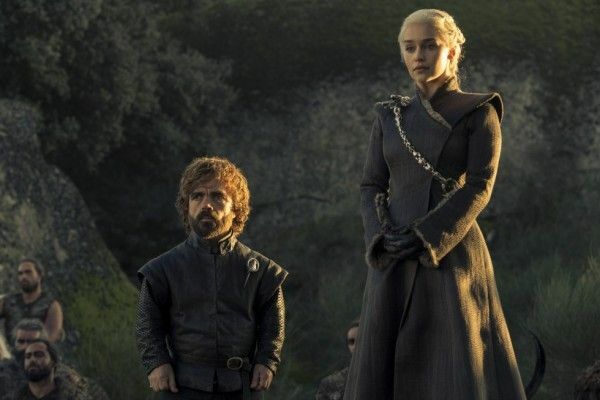 However, as the show crossed more into set pieces and typical fantasy tropes that uphold a “hero” like Jon Snow and a queen like Daenerys, there’s not much room for Tyrion’s political maneuvering. Season 7 seemed to be the nail in the coffin for Tyrion as he’s fallen out of favor with Daenerys, but he’s still technically the Hand of the Queen. Tyrion had a sound plan for her to take Westeros based on alliances, but he was outmaneuvered by Cersei and Jamie on the battlefield, which made him look incompetent to Daenerys. And as Daenerys becomes more enamored with Jon (dragon rides! ), there’s less time for her to spend strategizing with Tyrion. Furthermore, what point does a political mastermind like Tyrion have in a world-defining battle featuring ice zombies? Game of Thrones is no longer a political show. 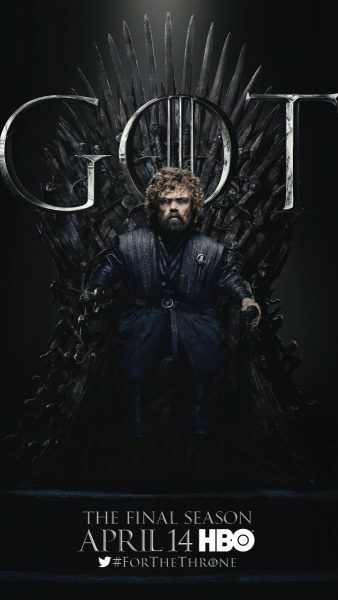 It may try to become so again once the big battle is over (although I fear that showrunners Dan Weiss and David Benioff think that fans are now here for battles rather than politics), but for the time being, Tyrion’s skillset is completely useless. What’s more, the show has undermined him by having him make bad decisions. Why would Tyrion ever believe a thing Cersei says? Some might argue it has something to do with an off-screen conversation between the two of them in the Season 7 finale “The Dragon and the Wolf”, but even if that’s case, Tyrion has been proven wrong. We know Cersei isn’t planning to send any armies, and he should know better. The fact that he doesn’t is some sloppy writing that doesn’t really support the character’s history. There are ways Tyrion could have been made useful in the leadup to the final battle. Sansa’s not a warrior like Jon or Daenerys, but she made the important point that they need to figure out a way to feed an army. Tyrion could be tasked with logistics. Or he could be scheming with what to do with the political landscape should the Army of the Dead be defeated. But instead, the show is content to have him banter with Varys because it hasn’t had anything for him to do of substance for over a season. So why keep Tyrion around? I’d argue there are two reasons. First, Tyrion remains a popular character. I think at this point, people like the idea of Tyrion more than what he’s actually doing at this point. Dinklage is immensely charming, and part of the show’s initial popularity was on Tyrion’s back. He’s simply too much fun to take out of the game, so they’ve put him on the bench. Which leads to the second reason—a final showdown with Cersei. Someone has to deal with her, and it’s probably going to be Jamie and Tyrion together to bring some kind of closure to the Lannister storyline. But honestly, that’s kind of a weak finish for the character. I could be wrong, and Thrones is known for being unpredictable (although it hasn’t really made any big swings in terms of character deaths for a while now), but the fact remains that the show didn’t know how to use Tyrion in the closing seasons because Game of Thrones no longer resembles the environment where he was most effective. The brutal and efficient thing would have been to kill Tyrion off, reminding viewers that no one is sacred, especially if they don’t serve the story. But even though he hasn’t served the story in a while, Tyrion sticks around. He drinks and he knows things. It’s just a shame he no longer does things.